Salman Khan starring most awaited film Tubelight has released today in the theatres. This is Salman Khan's seventh film which has released on the Eid festival. Salman Khan enjoys a huge fan base and his films usually witness swelled audience at theatres. After giving back to back hits like Bajrangi Bhaijaan and Ek Tha Tiger, there are huge expectations from Kabir Khan's Tubelight. 1. Tubelight is Salman Khan's shortest film ever and duration of this film is just 136 minutes i.e. 2 hours 16 minutes. Previous films of Salman like Sultan, Bajrangi Bhaijaan, and Prem Ratan Dhan Payo fell in the bracket of long duration films as they ran for 2 hours 45 minutes to 3 hours. 2. Salman Khan has shared the screen with younger brother Sohail Khan after 7 years. Earlier they both had worked in 2010 release film Veer. 3. Director Kabir Khan has used 600 real soldiers. He took permission from the army and also trained the soldiers. 4. One of the most loved scenes of Salman Khan's iconic film Hum Apke Hain Koun has been recreated in Tubelight. Child artist Matin will be seen doing that 'Gulel' seen with Salman which was initially carried out by Madhuri Dixit. 5. Matin Rey Tangu has been chosen for the film after the auditions of 1000 child artists. Matin is from Arunachal Pradesh. 6. Tubelight will be the first film which has released at the same time in China and India. Earlier films like PK, 3 idiots and Dangal had released after 6-8 months gap. 7. 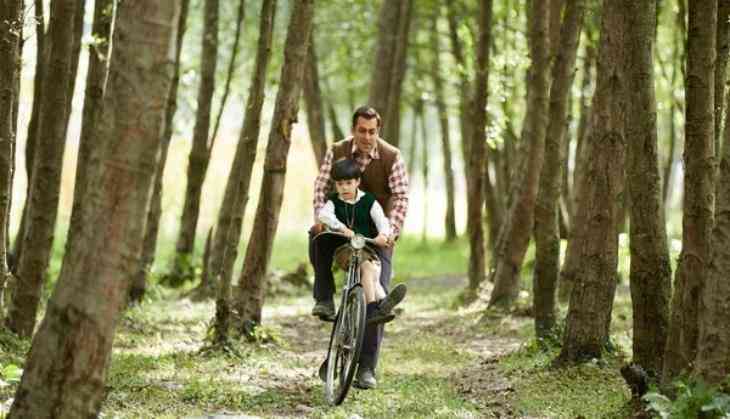 Tubelight is the remake of Hollywood film 'Little Boy'. The only difference in both films is that Little Boy is set in second world war and Tubelight is set in Indo-China war. 8. Kabir Khan has taken the title 'Tubelight' after being inspired by Kannada film, earlier he chose 'Gugli' title for the film. 9. The leading lady of Tubelight, Zhu Zhu is an international star. She was also been a VJ in NTV China. 10. Shah Rukh Khan agreed to do the cameo in this film, without even having a narration of the role.